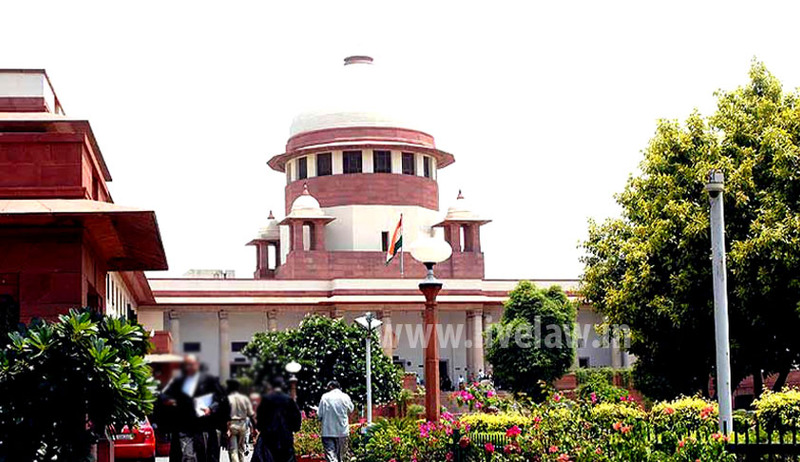 A Petition has been filed in the Supreme Court by Association for Democratic Reforms and RTI activist Mr. Subhash Agrawal, demanding that all political parties should be brought under the ambit of the Right to Information Act, 2005 as “public authorities”. Demanding greater transparency and accountability in the functioning of all recognized National parties, the petition has been filed against the Centre, Election Commission, Indian National Congress, BJP, CPM (M), CPI, NCP and BSP. The petitioners had earlier approached the 6 political parties seeking response to certain queries under the RTI Act and thereafter had approached the Central Information Commission (CIC). The CIC clubbed their complaints and vide order dated 03.06.2013 held the 6 political parties to be public authorities under Section 2(h) of the RTI Act. Upon non-compliance, the CIC has again, vide order dated 16.03.2015 stated that the previous order dated 03.06.2013 declaring that political parties are public authorities under RTI Act is final and binding. In another CIC order dated 29.04.2008 (CIC/AT/A/2007/01029 & 01263-01270), it was held that even though political parties are non-governmental, they wield and influence the exercise of governmental power and thus it is important for political parties to be transparent. The Petition relies on Schedule X of the Constitution of India in order to emphasize the role of political parties in the democratic functioning of the country. The Tenth Schedule of the Indian Constitution, incorporated by the Constitution (52nd Amendment) Act, 1985, deals with the disqualification of a person as a member of either house of parliament or the legislative assembly/council on grounds of defection. The Tenth Schedule provides right to the political parties to decide whether an MP/MLA should be in the Parliament or legislative assembly/council not. The representatives have to vote as well as work according to the directions of the party (party whip) to which they belong. “Therefore, it can be said that political parties exercise a significant hold and power over their elected MPs/MLAs and this power is not confined only to the manner of voting but it also extends to their conduct,” the Petition states. The Petition also relied on the 170th Report of the Law Commission of India on ‘Reform of the Electoral Laws’ in May 1999. In the report, the Commission had made a recommendation for transparency in the functioning of political parties specially focusing on internal democracy, financial transparency and accountability in their working. The LCI, in its 255th Report titled “Electoral Reforms” dated March 2015 has also proposed its recommendations on the issue of disclosure obligations of political parties. The National Commission to Review the Working of the Constitution, (NCRWC) appointed by the Union government for reviewing the working of the Constitution in their report dated March 2002 also made the recommendation that there ought to be a system of auditing and monitoring of the accounts of political parties. It explains that many political parties adopt the coupon system for the purposes of collecting funds whereby they issue coupons in lieu of receipts to donors for cash contributions. In most cases these cash donations make it difficult to establish the identity of the donor. In this way the majority of cash donations received by political parties remain unaccounted for in the books of accounts, as only those amounts would be recorded for which a receipt has been issued.